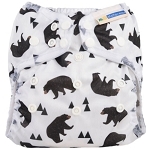 LittleLamb organic cotton nappies were introduced due to demand from parents and are manufactured from certified GOTS organic yarn. 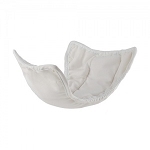 Little lamb nappies are great fitted nappy available in 3 sizes, to minimise bulk on newborn babies the booster isn't attached to the nappy but loose so it can be added when baby needs the extra absorbancy, in size 2 and 3 the booster is attached at the front of the nappy it can either lay flat or you can fold it towards the front for little boys. 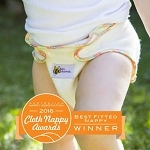 Each nappy comes with a fleece liner so you can choose whether to have a stay dry nappy or natural fabrics next to babies skin. 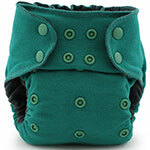 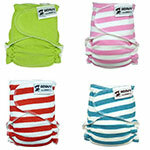 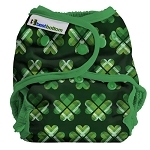 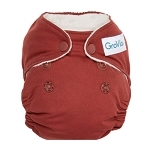 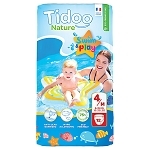 The size 3 fits from 35lb and is ideal for bigger children and older children that need a nappy at night. 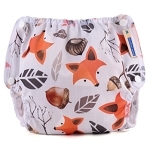 Each nappy also comes with a free washable fleecy liner.